Istanbul is one of the most significant, beautiful and unforgettable cities that someone should visit during their life! This is why we provide you the opportunity to enjoy a self scheduled day, taking a tour in amazing Istanbul. With our local, sociable and knowledgeable guide, your experience will be memorable! Let yourself in the hands of our experienced English speaking staff…Trust our driver who knows every corner of the city! I will be arriving with my family (total 5 pax) on 30th May. We would like a driver/guide for 4 days that we are in instanbul. from 30th May to 2nd June. As my father has some difficulty walking we want to make sure he gets around in the country seamlessly. We would also all like to fit in the same vehicle. As for activities, we dont want too busy a schedule and enjoy great food and culture. 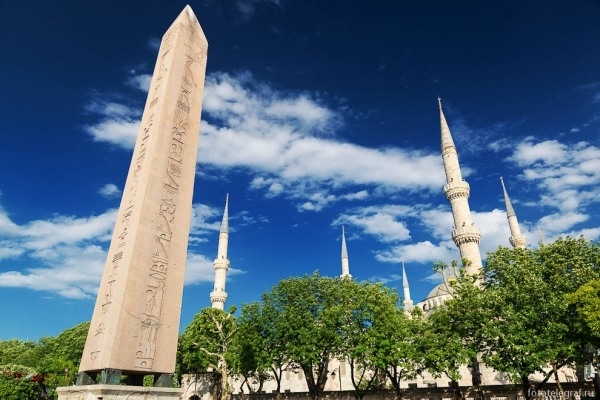 One of our tour operator will be in contact with you for Private Tour with Guide and Driver in Istanbul. Our reservation is confirmed at Grand Peninsula Hotel from September 13 to September 17. We are happy to inform you that we are able to provide Private Tour with Guide and Driver in Istanbul. We forward your message to our tour operator and she will reply via e-mail. Please check your e-mail and let us know if you need more details. I am planning to visit Greece on September. I am having a 15 hour layover in Ataturk Airport on September 16, 2018. I would like to go for a Istanbul Tour. My flight arrives at 10.40am. Could you please let me know the price / cost, if I choose a private tour especially to Hagia Sofia,Blue Mosque, Topkapi Palace, Galata Tower and Grand Bazar. Hello, we will arriving on 28 June from Santorini, Greece and need transfer from airport to Ramada Grand Bazaar departing on 2nd July to Athens. We are happy to inform you that we are able to provide all below services such as Private Tour with Guide and Driver, Bosphorus Cruise Tour with Asian Side & Dolmabahce Palace, private car, Local guide etc. We have sent you a special offer for your Istanbul tours and transfers. I would like to arrange a driver guide to take us round important sights like the Blue Mosque, Hagia Sophia, etc.. Could you please provide us with a proposed itinerary for half a day as well as full day and confirm the price. I am also contacting other tour providers and will compare price - so please provide your best price. e will forward your message to one of our tour operator and she will be in touch with you. Feel free to ask her all your question. If you are agree than she will confirm and book your Private Tour with Guide and Driver in Istanbul. We will forward your message to our tour operatör and she will offer you the best available tour options. If you are OK she will confirm and book your Tours. Please feel free to ask her any of your question in your mind. i am only in istanbul for 8 hrs and want to see as much as possible in istanbul. as many sites as possible. also a few football stadiums. One of our tour operator sent you an offer for your layover tour & transfer service request. Istanbul Airport Shuttle How to meet at Ataturk airport Ataturk Airport-Lost and Found Ataturk Airport Transportation Sultanahmet Transfer How to get from Sabiha Gokcen Airport to the city? Sabiha Gokcen Airport-Lost and Found What time should I leave my hotel to catch a flight in Ataturk airport? What time should I leave my hotel to catch a flight in Sabiha airport? Is there any additional charge for my airport transfer service?